Bollywood entry of Sridevi's daughter Jhanvi Kapoor has been one of the interesting topics for the audience who follow film news. Even though several speculations were doing rounds regarding her debut film, the latest update reveals that Sridevi has come to a final decision on Jhanvi entry. Sridevi said to have choosen Karan Johar production house for Jhanvi debut. It is known that Karan Johar has the Hindi remake rights of Marathi movie 'Sairaat'. He is planning to remake the film into Hindi with Jhanvi Kapoor. He has choosen Ishan Khattar (Shahid Kapoor's brother) as the male lead in the film. Ishan Khattar is presently doing a film 'Beyond the Clouds' directed by Iranian director Majid Majidi. He is going to romance Jhanvi in 'Sairaat' remake after completing the ongoing film. 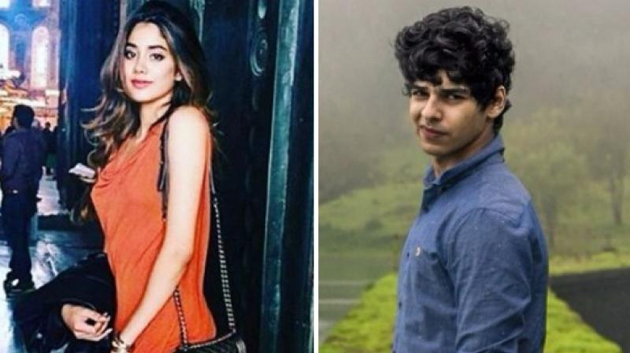 Jhanvi..Ishaan have attended the screening of 'Badrinath Ki Dulhaniya' recently. Information has leaked out to the media as they have been regularly visiting Kran Johar'a office and the shutterbugs clicked their pictures.